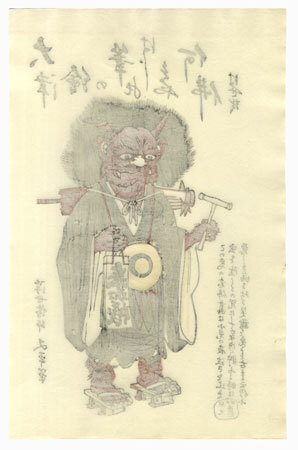 Comments - Interesting portrait of an oni or demon dressed as a priest, one of the standard Otsu-e characters. 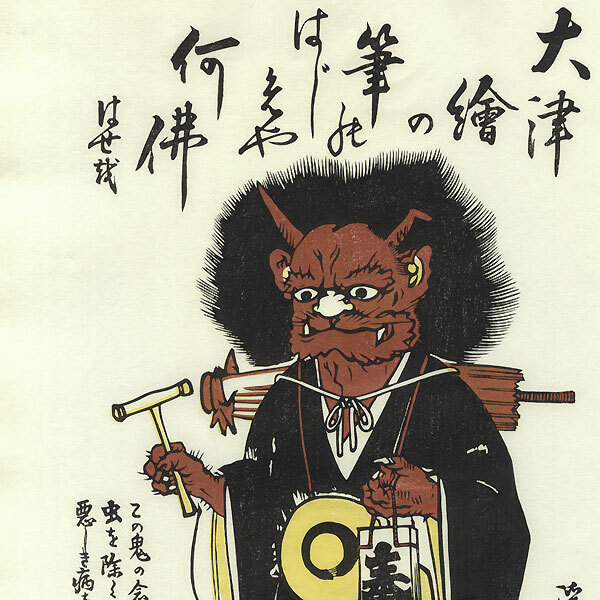 Otsu-e were traditional folk paintings sold to travelers during the Edo era in Otsu on Lake Biwa near Kyoto. 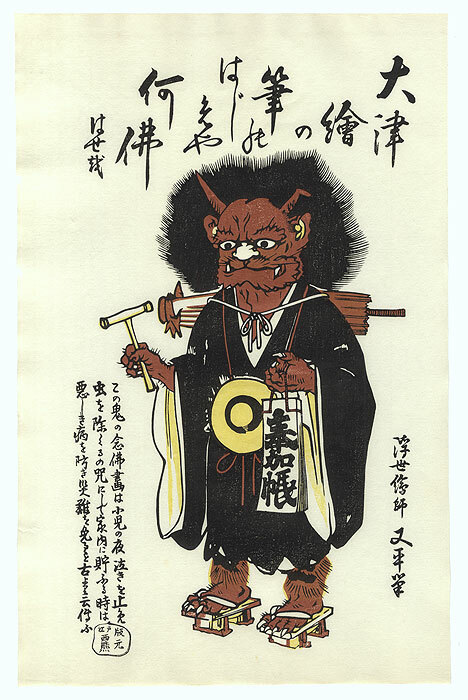 They featured easily recognizable figures, such as the standard bearer, the Wisteria Maiden, an oni, and the samurai Benkei carrying a temple bell. A charming reprint of this classic Otsu-e figure. Image Size - 16" x 10 1/4"